Do you like appliances that you can use for multiple processes? Out of the many multi-purpose cookers, the Instant Pot DUO60 is one of the best sellers in the market today. It is made by reputable Instant Pot brand, which is of Canadian origin and they specialize in producing multi-purpose cookers. The Instant Pot DUO60 can replace 7 different appliances and features 14 different smart programs to create various dishes. Programs include its use as a searing pain, slow cooker, rice cooker even as a yogurt maker. It is a compact and great looking appliance with a stainless steel cooking pot for durability and safety purposes. By having a built-in microprocessor in their products, they are able to make sure that you get constant results. A multi cooker combines several different appliances in one. 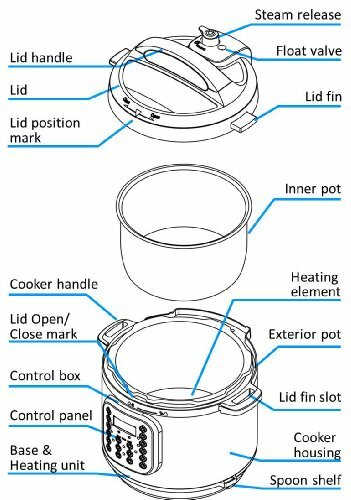 This cooker combines 7 different appliances such as a slow cooker, yogurt maker, pressure cooker, searing pan, rice cooker, food warmer, and steamer. It provides 14 different smart programs for you to cook your dishes with just a press of a button. With one unit capable of being used in different ways, you also get to save on space in your kitchen. Do you wish to go home to a freshly cooked meal rather than one that has been kept warm for several hours? 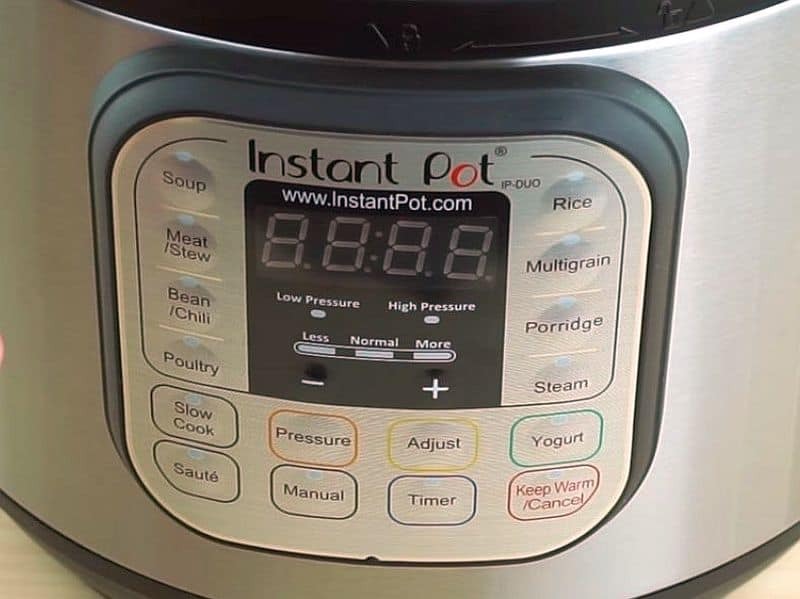 The Instant Pot DUO60 makes this possible by allowing you to delay the starting time of cooking. The delay start feature is great for those who still want to wait for a few hours to thaw their frozen ingredients before cooking it. It is also useful for those who leave for work in the morning and schedule the food to be cooked a few hours before they get home. Do you know what chemicals are used to make your pots and pans non-stick? Are you sure that they are safe for your health? The Instant Pot’s non-coated stainless steel pot provide food safety and makes this cooker more effective at searing or browning your dishes. 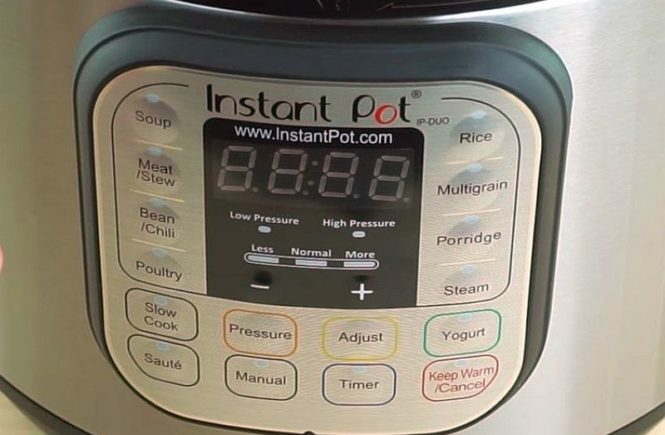 The Instant Pot DUO60 has a built-in microprocessor that is programmed to control pressure, temperature and time are all correct. It is used to make adjustments in order to make sure the dishes come out just right. Although it has programs or presets, you can still change the setting of the temperature. Choose between the 3 temperature settings Less-, Normal-, and More- heat. This setting allows for better control over how the dish is cooked making it possible for you to do experiments on the different dishes that you want to prepare. This appliance not only performs well in the kitchen it also looks great. The Instant Pot DUO60 exterior is made of brushed stainless steel, which is easy to clean, fingerprint resistant and durable. Some people a still scared of pressure cookers. 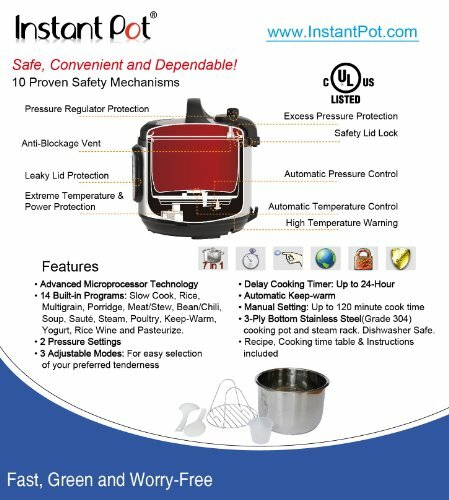 Instant Pots patented technologies and the 10 security mechanisms that are built into this multi cooker is UL certified and have passed their strict safety standards. The Instant Pot DUO60 is not the cheapest multi cooker, but for the price, it comes at it is certainly a great value purchase. Combining a number of appliances in one unit, not only save dollars, storage space in the kitchen but also is an environmentally friendly decision as making one appliance requires fewer resources than making many. It comes with a removable cord, which may be a bit short. It also includes other accessories such as a rice paddle, measuring cup, handles, soup spoon, condensation collector, stainless steel steam rack, and a recipe booklet. This multi-purpose cooker is great for busy people as the programming features allow to time the cooking to make sure that the food is still warm and freshly cooked by the time they reach home. Moms who have children to take care of, chores to do around the house, and even work to finish will benefit well from this product because this makes it possible to prepare home-cooked meals that don’t require them to spend all day in their kitchen. The unit is also great for those who have smaller kitchens and do not have lots of space for different appliances but still, would want to be able to prepare food in different ways. The Instant Pot DUO60 is a great product especially for those who are looking for multi-purpose cookers or those who want to downsize their kitchen and combine multiple appliances in one. The Instant Pot Duo60 is a multi-cooker that can be a bit confusing or be intimidating to first time users. However, once you have gotten used to the programming you will love the many cooking programs and it’s versatile functions. It also encourages experimenting and cooking new dishes. 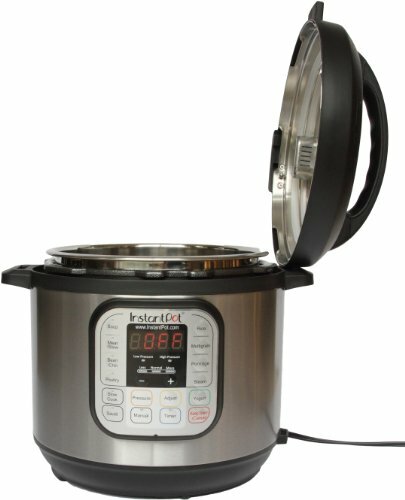 If you have hints or want to share your experiences with the Instant Pot please leave a comment.